Life is becoming ever increasingly fearful as old patterns and ways of being no longer work for us, natural forces destroy our homesteads and people try their best to take away our feelings of safety, freedom and integrity. We feel the joy, love and excitement of our life slowly leaving our being and we surrender to a feeling of failure. BUT… something within recognises the game that we believe we are trapped in and reminds us there is indeed more to life than the Human Game that keeps us moving backwards and forwards between feeling bad and feeling good… feeling failure and feeling success… feeling small and feeling grand, which makes us dependent on others and a slave to our physical, mental, emotional circumstance. 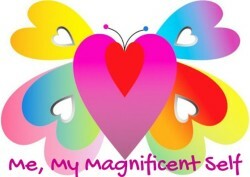 AND… we finally get it and allow our self to expand our consciousness that allows us to see the bigger picture and able to choose to be inspired, to imagine and be our Magnificent Self. Magnificence means… to be brilliant, excellent, grand, impressive, lavish, outstanding, splendid, glittering, elegant, noble, stately, striking, sublime, sumptuous, superb, commanding, elevated, exalted, high-minded, imperial, luxurious, magnanimous, magnetic, majestic, plush, posh, proud, radiant, regal, splendent, royal, rich, smashing, standout, superior, superlative, swanky, transcendent. When we allow ourself to perceive the bigger picture we can know that our existence is both physical and non-physical, the latter being a part of All That Is, the Magnificent Consciousness… Creation itself… Pure Love and Unity… Consciousness and Energy that has a neutral value and exists in abundance so that we can experience most sensually love, passion and joy and be able to celebrate in each moment our Magnificent Self that attracts more of what we are and desire to experience, for the good of all. 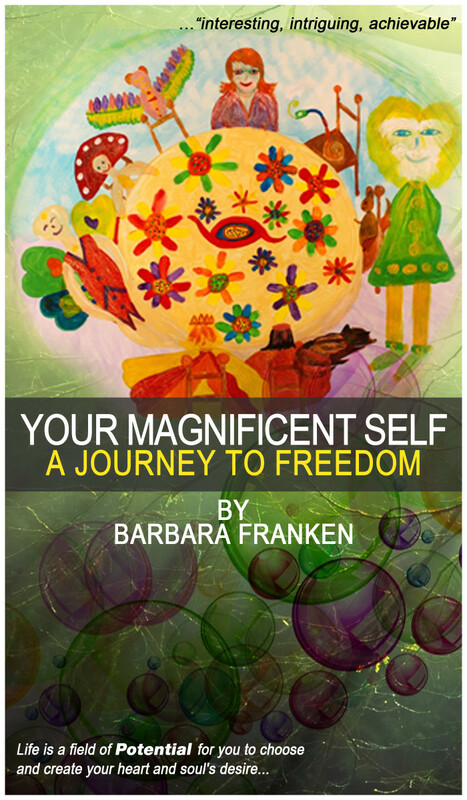 My first book Your Magnificent Self… A Journey to Freedom was written to remind myself of my extra-ordinary and imaginative journey that I created and made it possible for me to finally get it. My Journey turns into a magnificent love story as my Human Self and my Divine Self integrate as one and are inspired to imagine and create our heart and soul desires, experiencing true happiness of being that can only bring about our grand vision of DivineHumanBeings, one heart at a time, living a life of harmony and joy in freedom on the New Earth… here on the physical plane. We are all unique and we will all get it when we allow ourselves to be open, curious and question our self and our life. I know my journey will inspire others to perceive and imagine their grandest vision being their most Magnificent Master Creator Self. Breathe deeply the Conscious Breath and be mindful of who you are, observe your thoughts and emotions and be aware of the awareness behind your identity… your IAM presence and Divine Self. 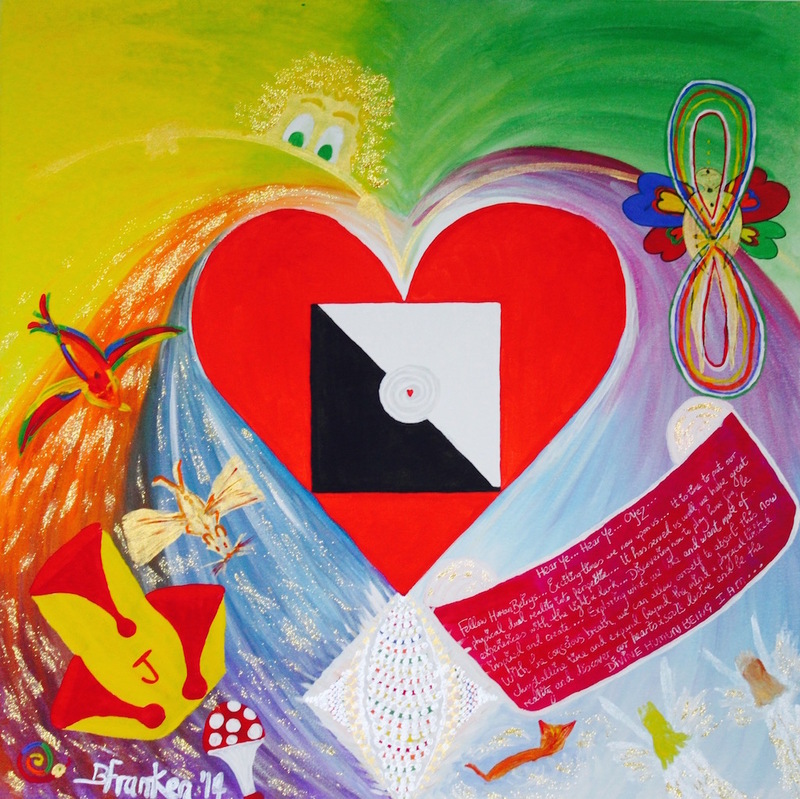 Be aware of when you feel good and feel bad, feeling good means you are aligned with your Divine Self, feeling bad means your Divine Self loves you and is gently guiding you back home. Ask yourself what is keeping you away from home and if it serves you now. Be selective of what you watch, listen to and involve yourself with, does it inspire you? Take care of and be compassionate with yourself first. Receive and Give, be aware of the flow in your life. Be ever grateful for all of yourself and all of your life, everything has a place and allows you to experience. Connect to your Environment in a way you enjoy and know that you are a part of it all. Imagine and visualise what brings you great joy and passion, feel it deeply within and allow yourself to be that joy and passion. Fellow Human Beings… Exciting times are now upon us… It is time to put our physical dual reality into perspective… It has served us well… we have great experiences with the light and the dark… Discovering how to play, have fun, be inspired and create… Exploring what we like and want more of… With the conscious breath we can allow ourself to absorb this now crystalline time and expand beyond the mind and physical reality and discover our heart and soul’s desire and be the DivineHumanBeing IAM. Great tips Barbara. Thanks for leading the way with joy and compassion. together we thrive! Thank you Barbara for your inspiration. Your posts Barbara are like breathing in a breath of fresh air.. My lungs feel clearer… And I agree so much with your words… When you said “we finally get it and allow our self to expand our consciousness that allows us to see the bigger picture and able to choose to be inspired, to imagine and be our Magnificent Self.”.. 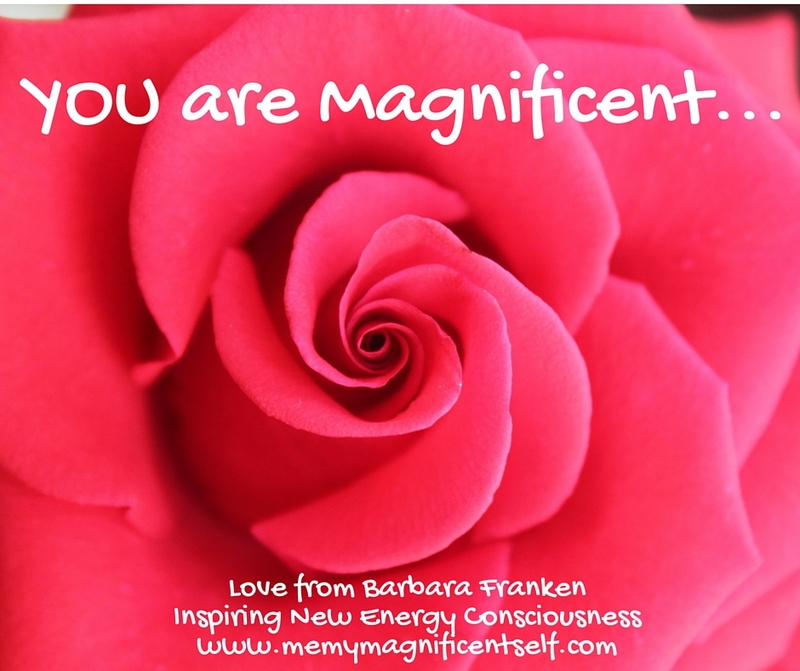 It may take a while to finally get it, but when we do… WOW.. 🙂 its a great Experience..
Barbara while I am here.. Are you still collecting our thoughts on the progress of our awakening.. I think I put down a date in Feb.. 23rd I think.. But I have lost your link page.. as you moved blogs.. If you are not doing it any more then that is fine too.. Just that I have not seen you mention it since? ?